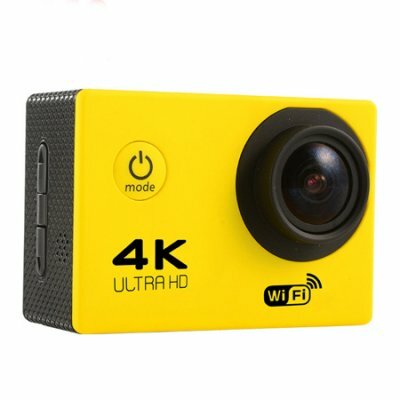 Successfully Added Waterproof 4K WIFI HD 1080P Sports DV Remote Control Cam Camera Small F60R Camcorder - Yellow (US Plug) to your Shopping Cart. Small Body - Only with the lightest weight, smallest body, however it has the strong capacity to take a clear picture and multiple video recording formats, small camera makes a big use. Water Proof Design - With a water proof casing, which will allow you to film 30 meters under water scene. Remote Control - Within 10m to 20m distance, the remote control will effectively control this smart camera.